We have received over 1500 entries this year with over 4500 young people from schools and colleges participating. All entries will now go through our judging process and finalists will be announced after 19th February. Keep an eye on our website for details of the finalists. If you are lucky enough to be a finalist you will be invited to Scotland’s National Stadium, Hampden Park for a special award ceremony. 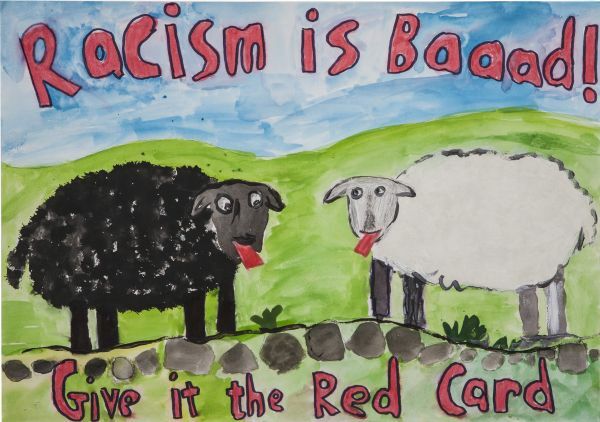 Show Racism the Red Card would like to take this opportunity to thank all young people that took part in this years competition, whether or not you make it through as a finalist the most important point is that by taking part in this competition you are saying that you want to live in a fair Scotland where everyone is valued and respected. Show Racism the Red Card Scotland.